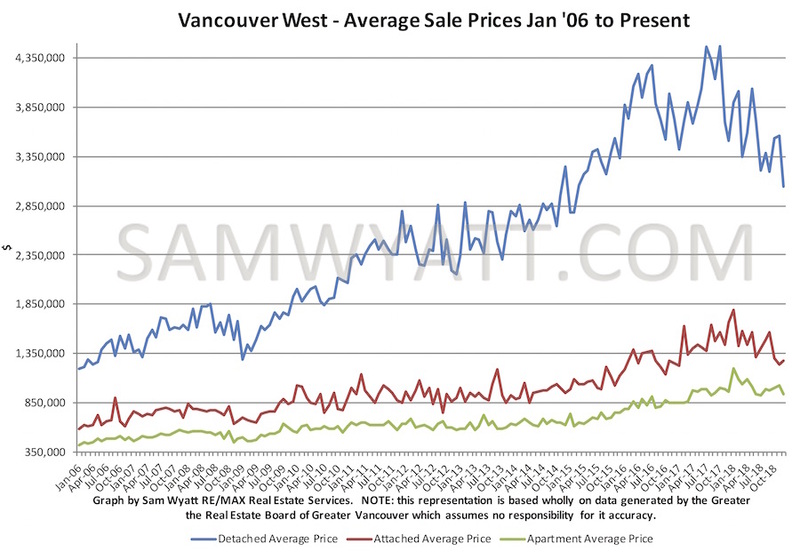 Arguably the largest influence on the Vancouver real estate market in 2018 was the implementation of the new mortgage "stress test" rules that came into effect January 1st of 2018. 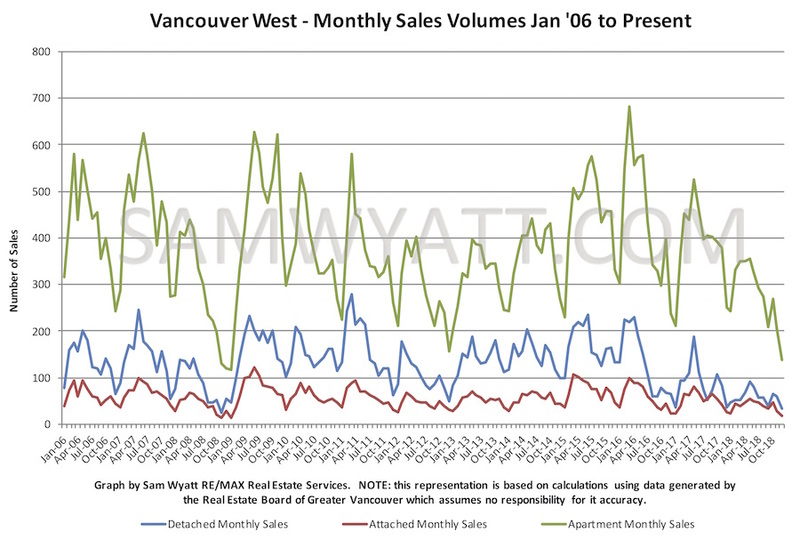 Months of inventory had been trending upwards since the fall of 2016 and prices were already softening when the new rules really put the brakes on detached home sales. 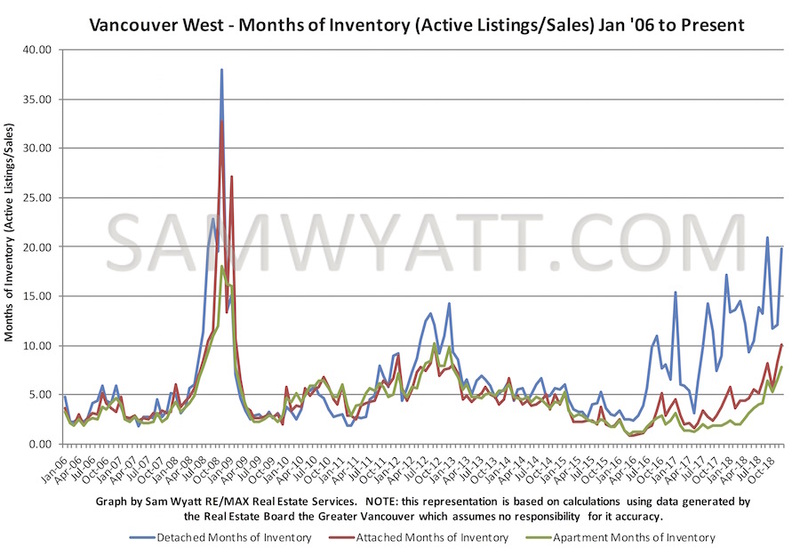 Months of inventory (MOI*) continues to trend upwards and I expect that prices will continue to fall across all product types in 2019. 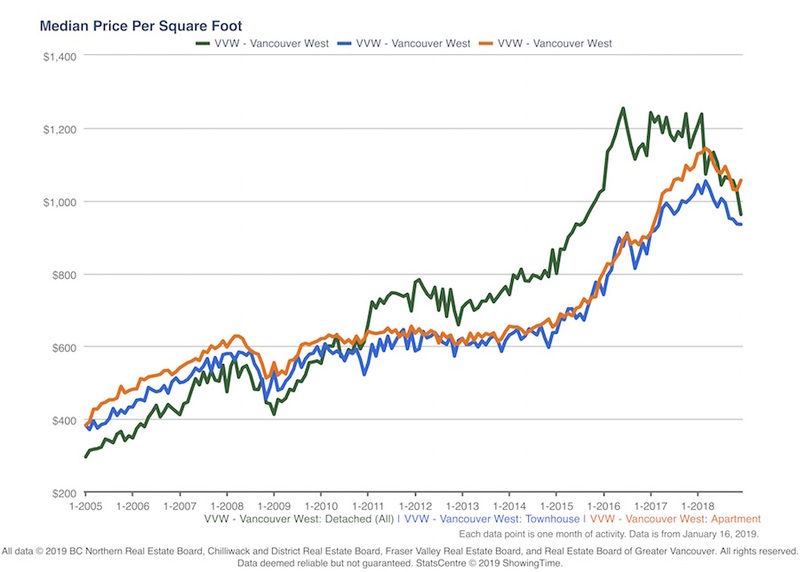 It is a buyer's market for Vancouver real estate. 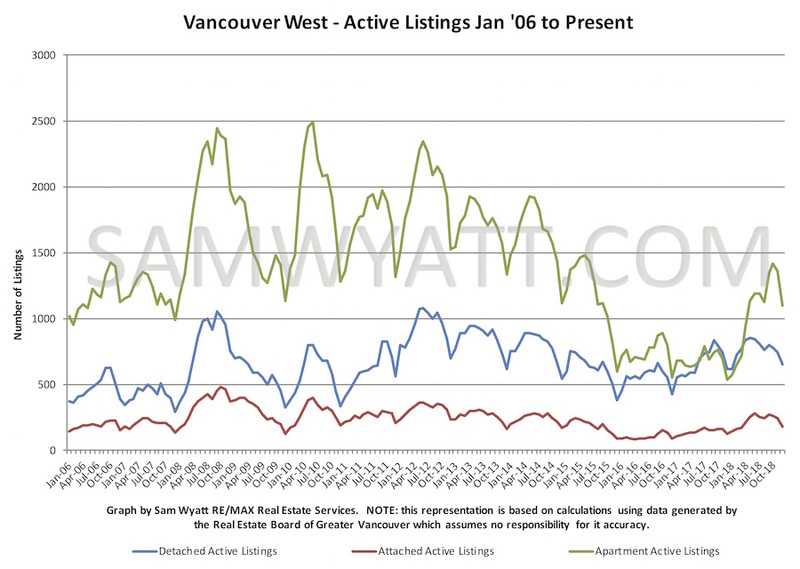 Westside houses were just shy of 20 months of inventory while attached and apartments were at over 10 and nearly 8 months respectively.